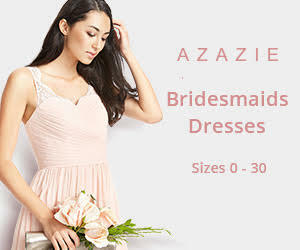 Long gone are the days when brides wear the same style and same fabrics of bridesmaid dresses. 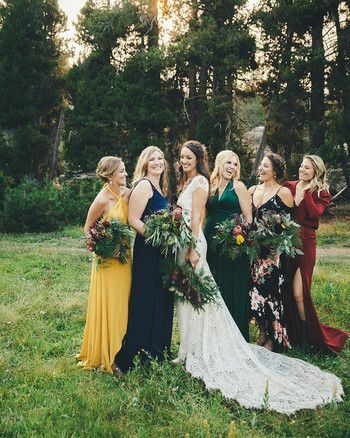 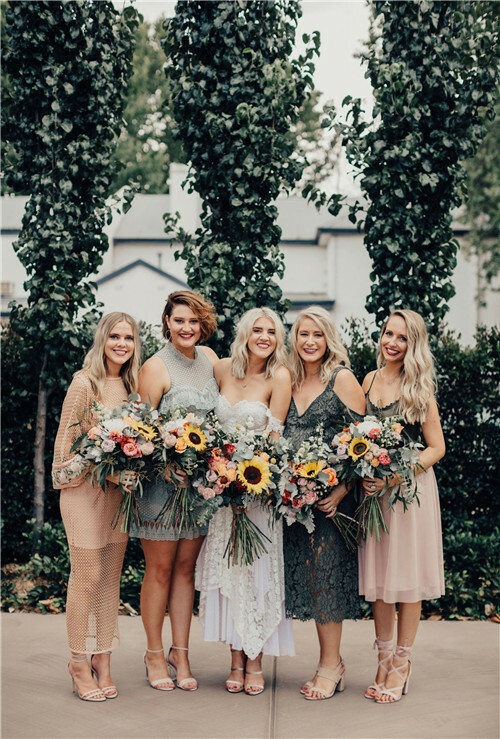 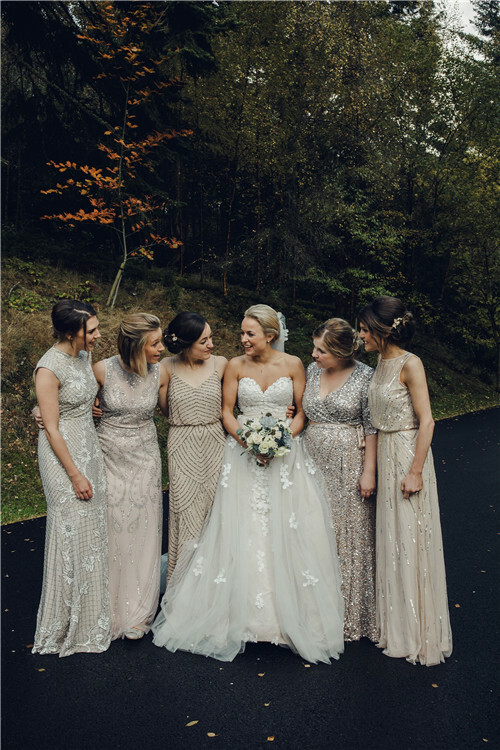 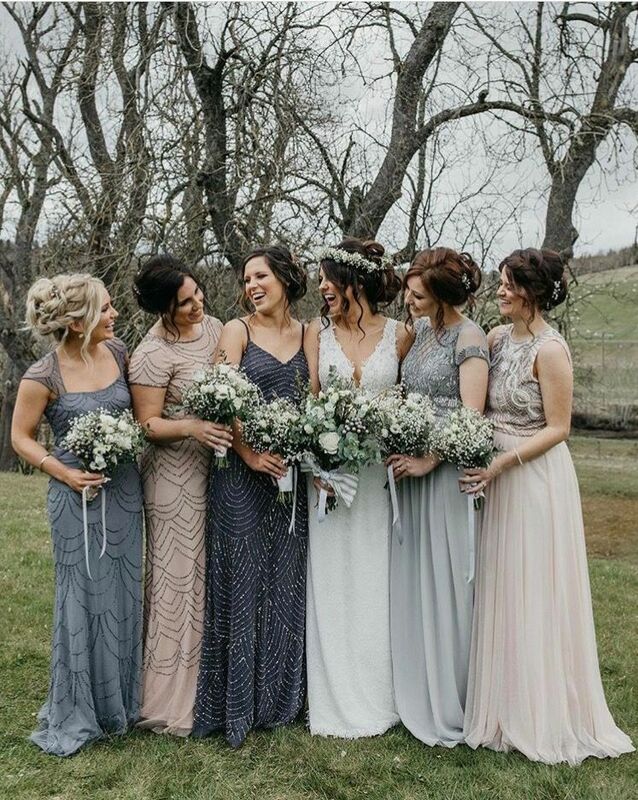 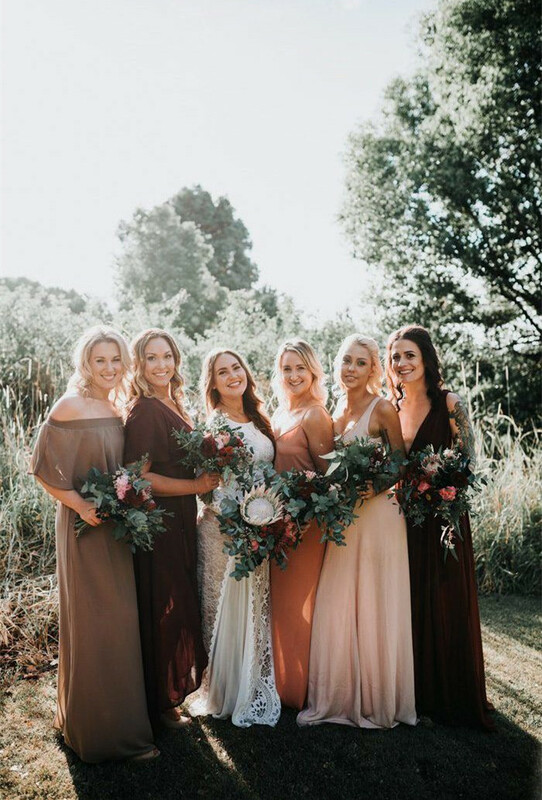 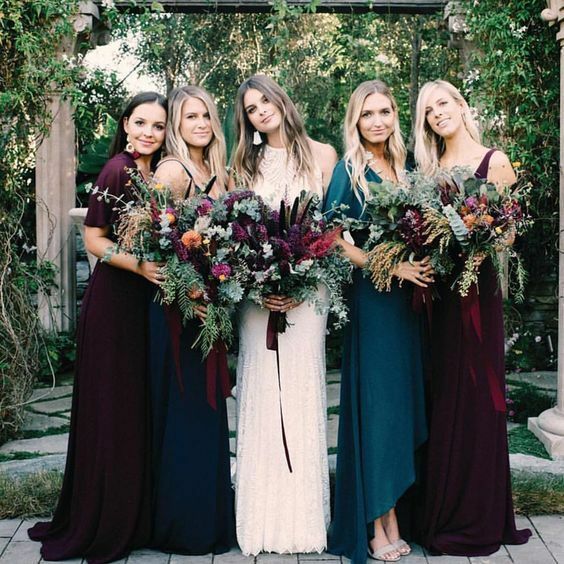 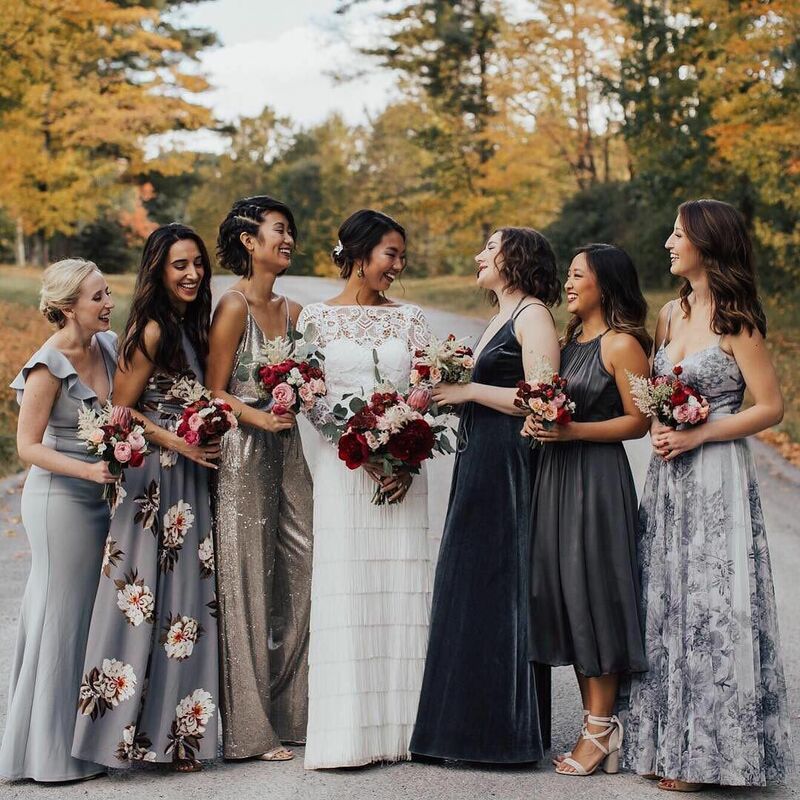 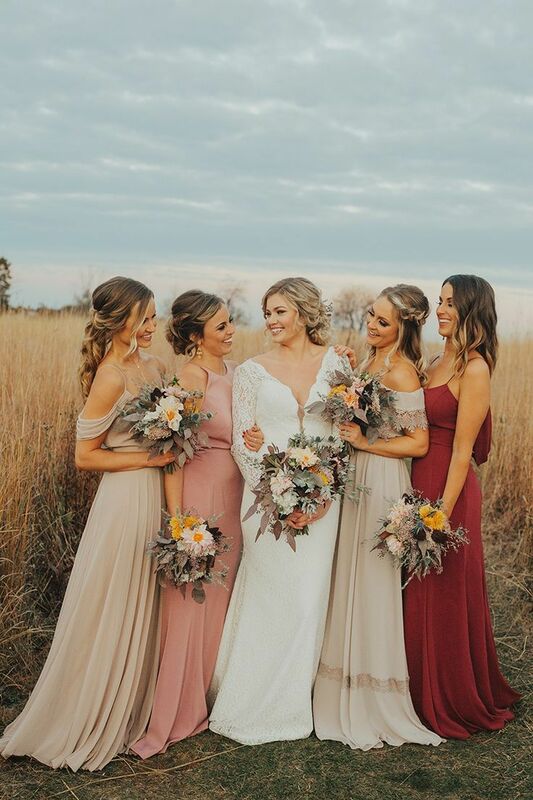 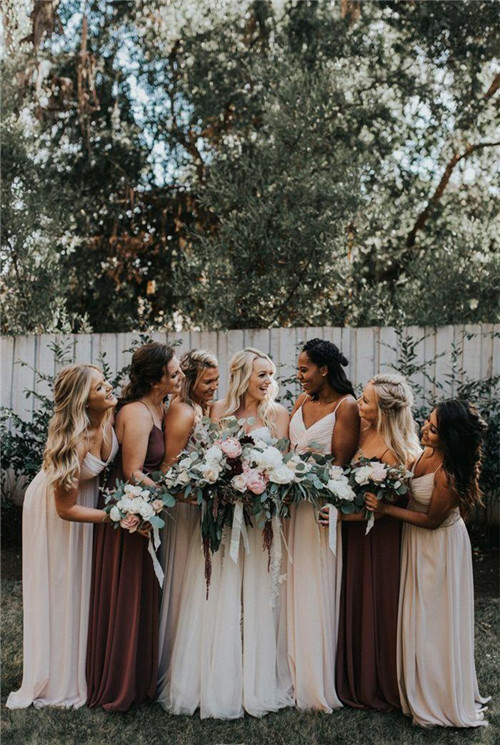 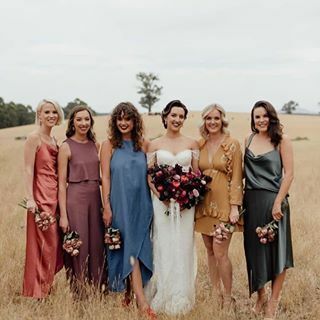 These days mismatched bridesmaid dresses seem more popular not only because they show the sense of fashion of the brides, but also the mismatched designs allow the bridesmaids to show their own personalities and choose dresses that match their shape and skin tone. 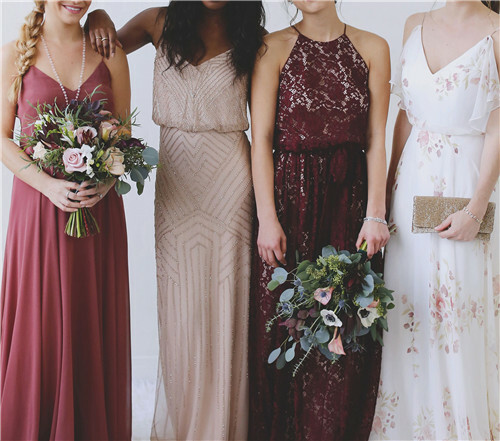 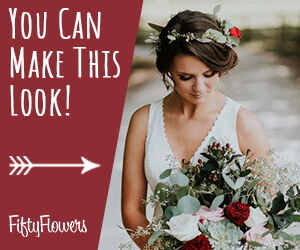 From bohemian weddings, to traditional weddings, the mismatched bridesmaid dresses fit almost every wedding theme and season. 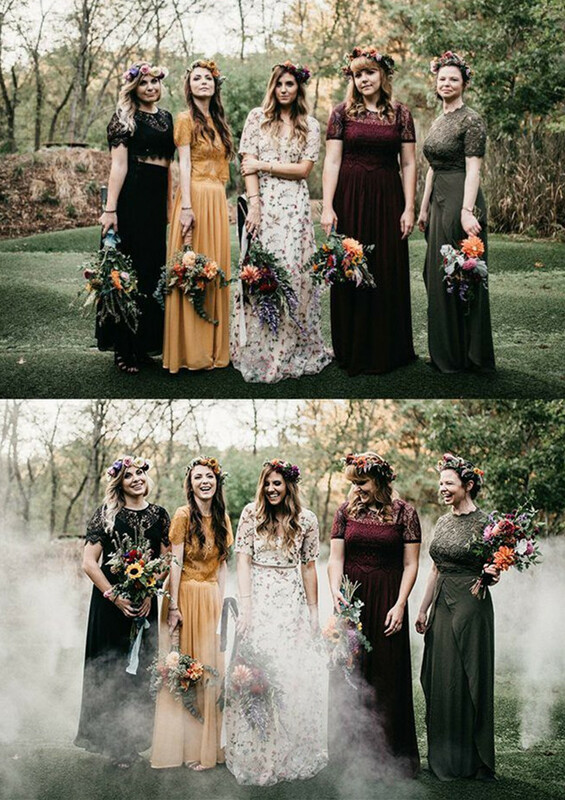 And they make your girls feel comfortable and look stunning. 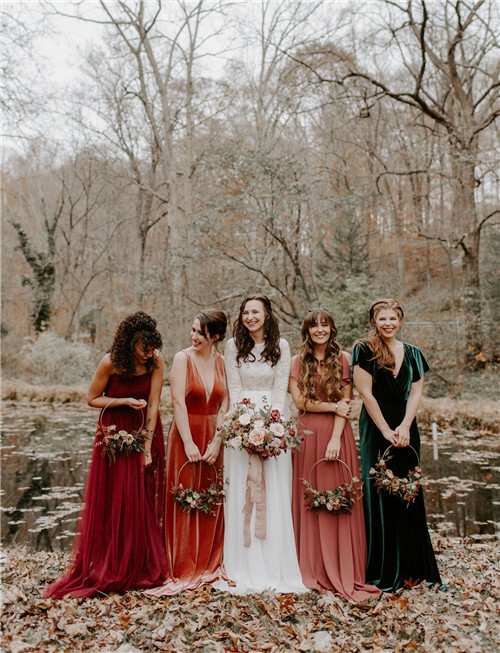 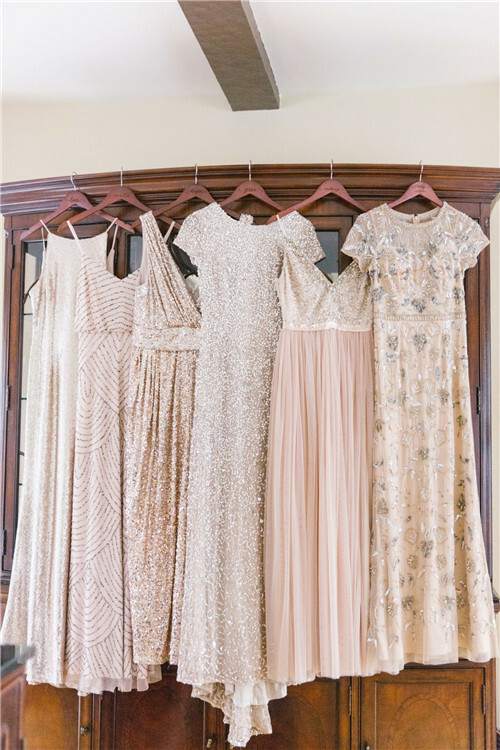 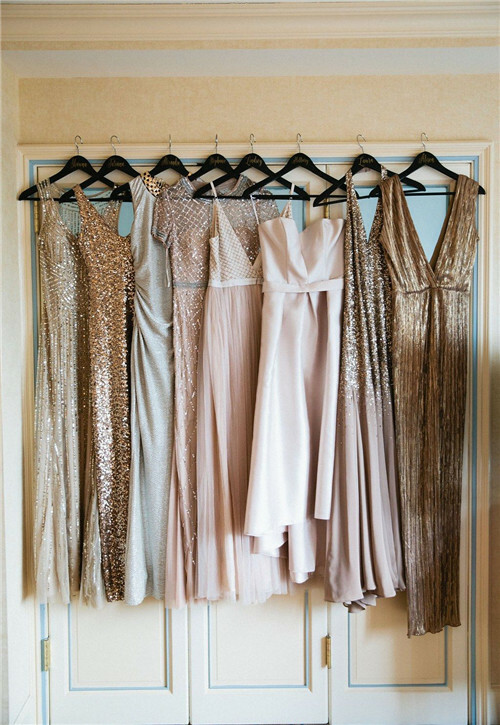 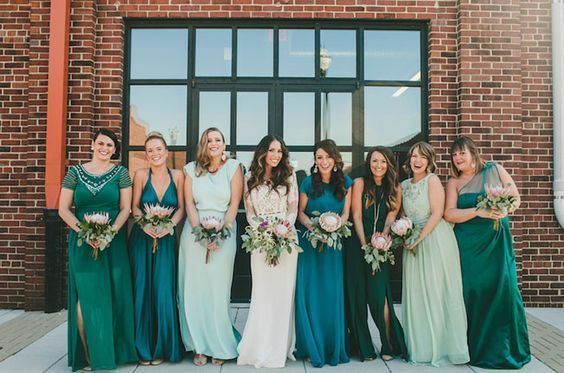 These mismatched bridesmaid dresses are so pretty! 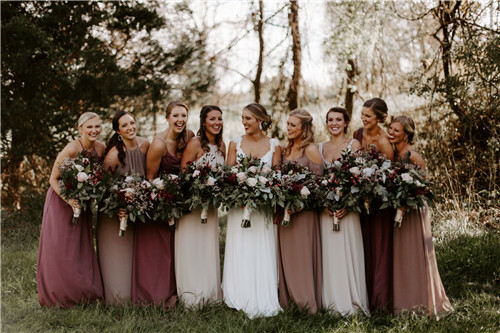 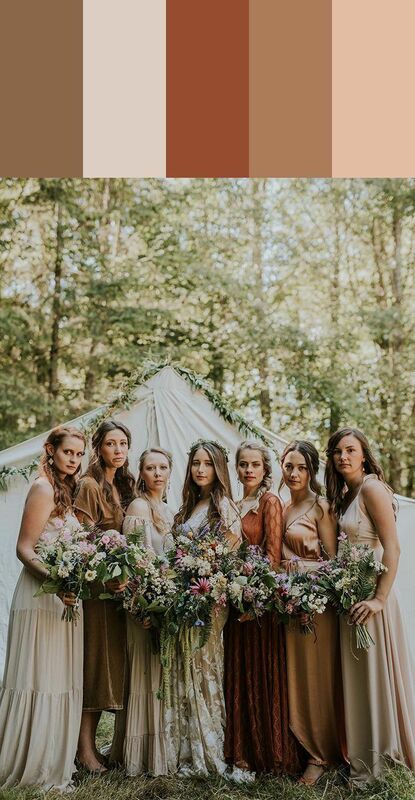 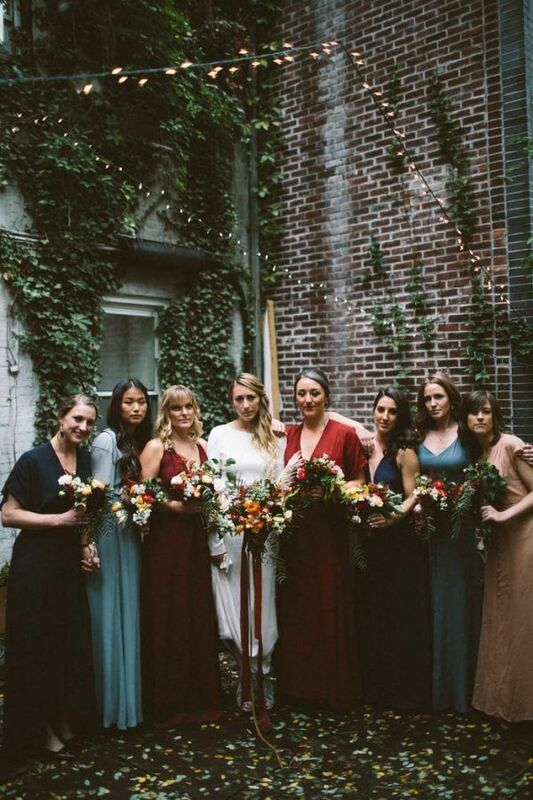 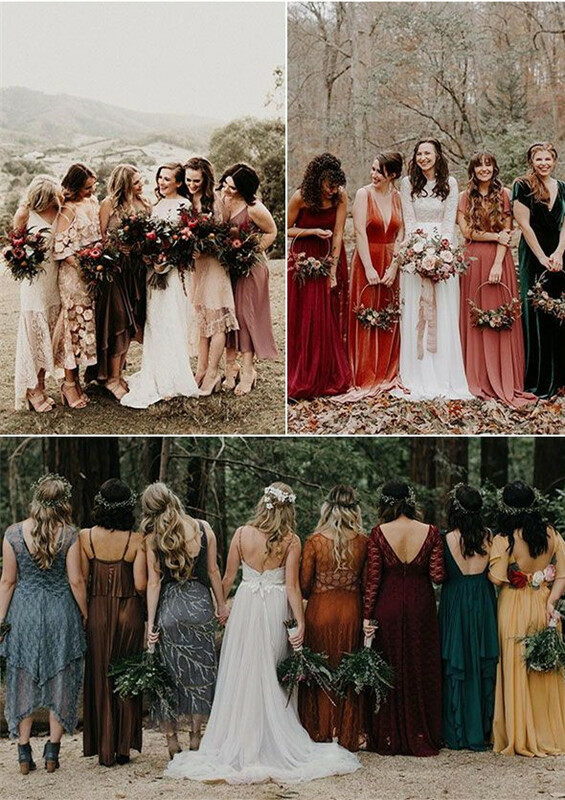 Mismatch bridesmaid dresses for a simple rustic yet elegant wedding. 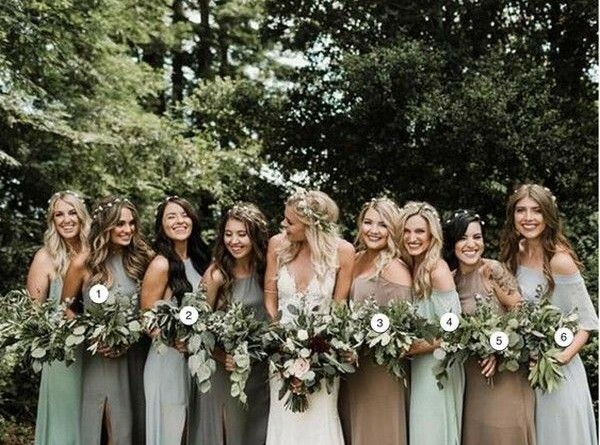 Sometimes working with too many variables and options can lead to a visual disaster. 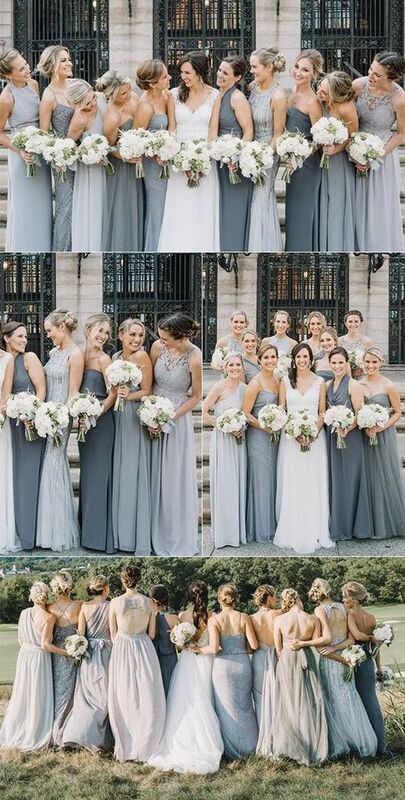 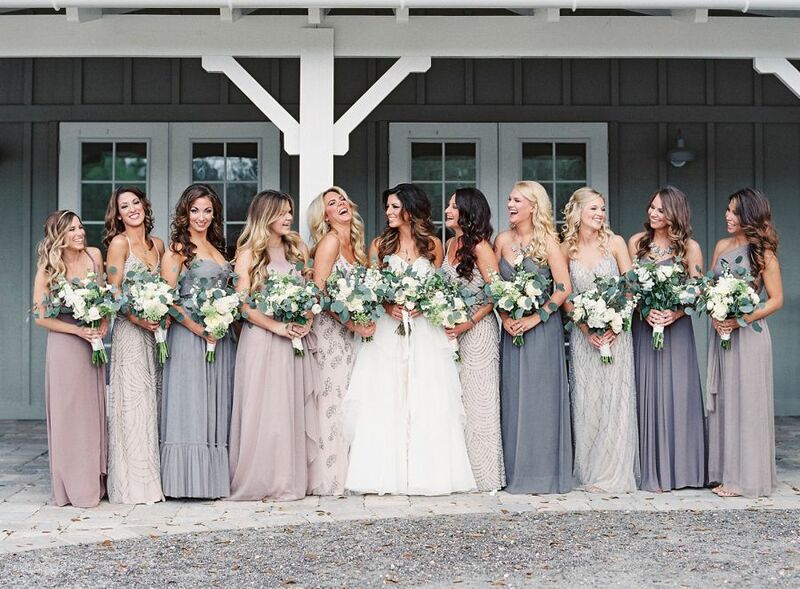 Shades of grey mismatched bridesmaid dresses. 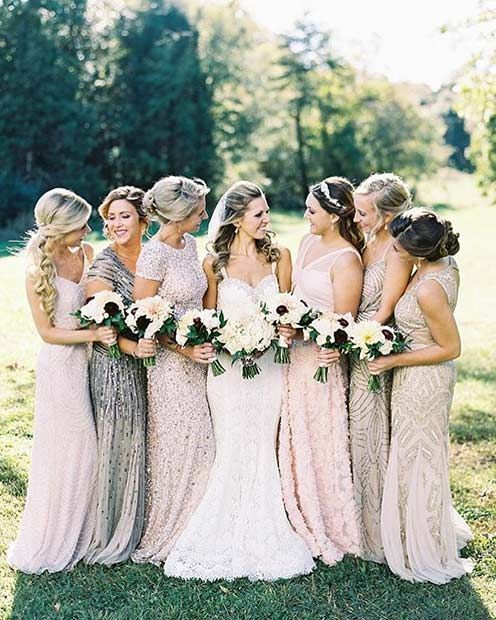 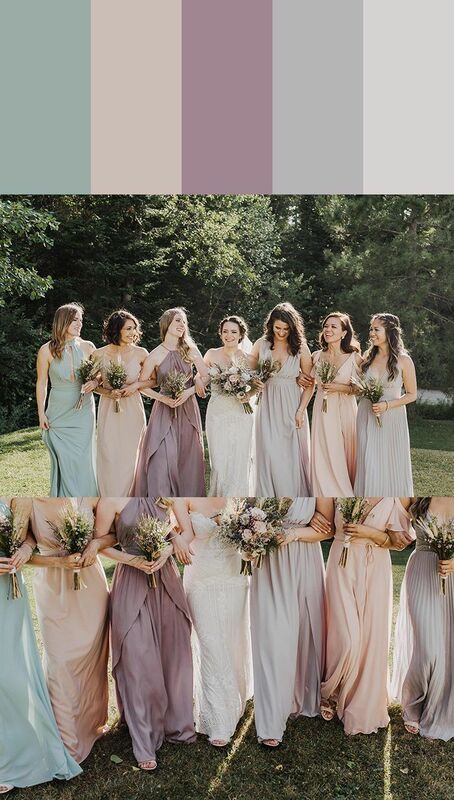 Cant get over how dreamy this pastel bridesmaid palette is! 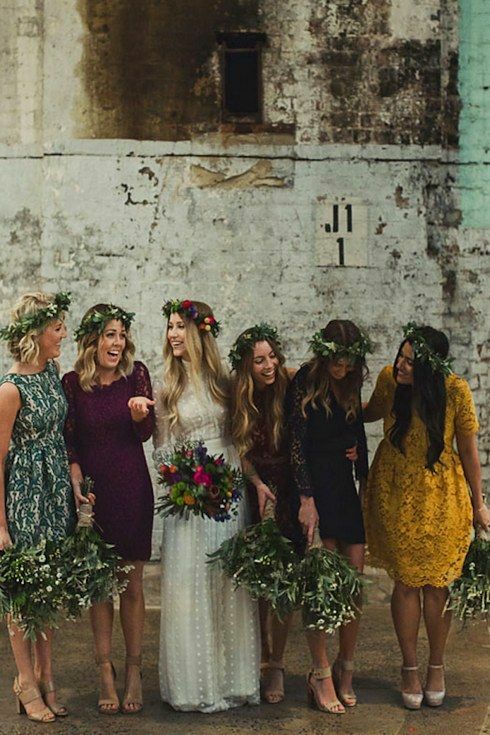 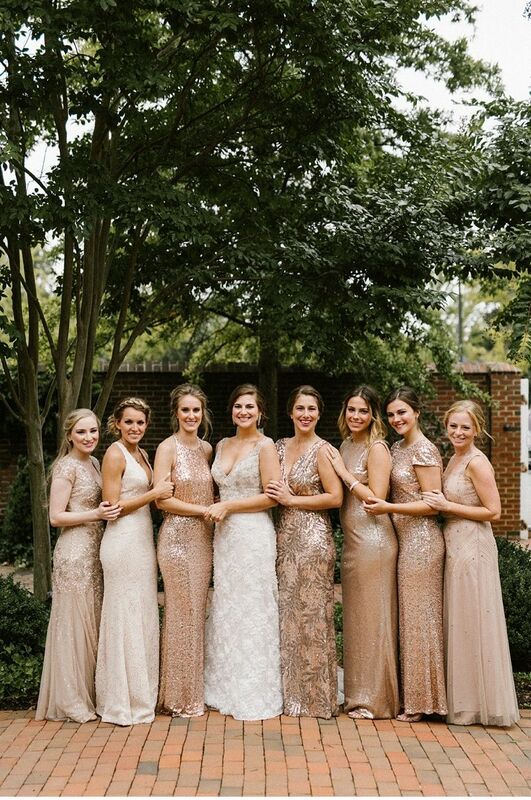 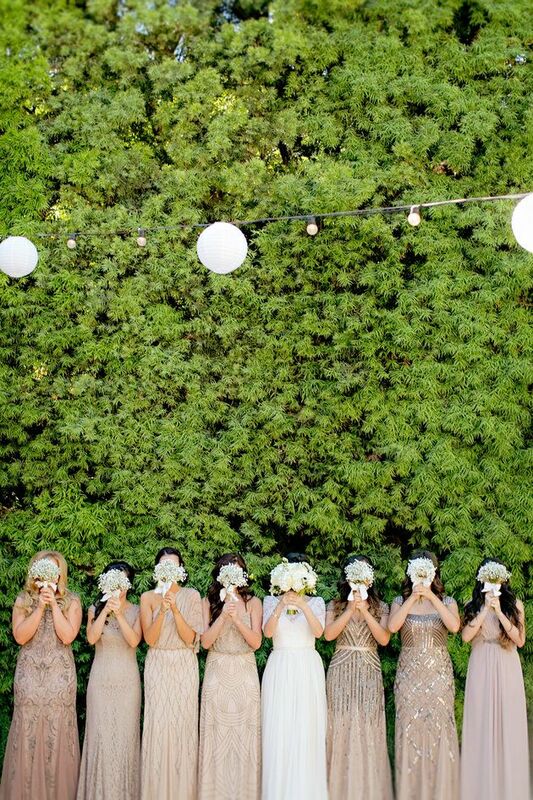 We are so in love with this mismatched bridesmaids’ dresses!